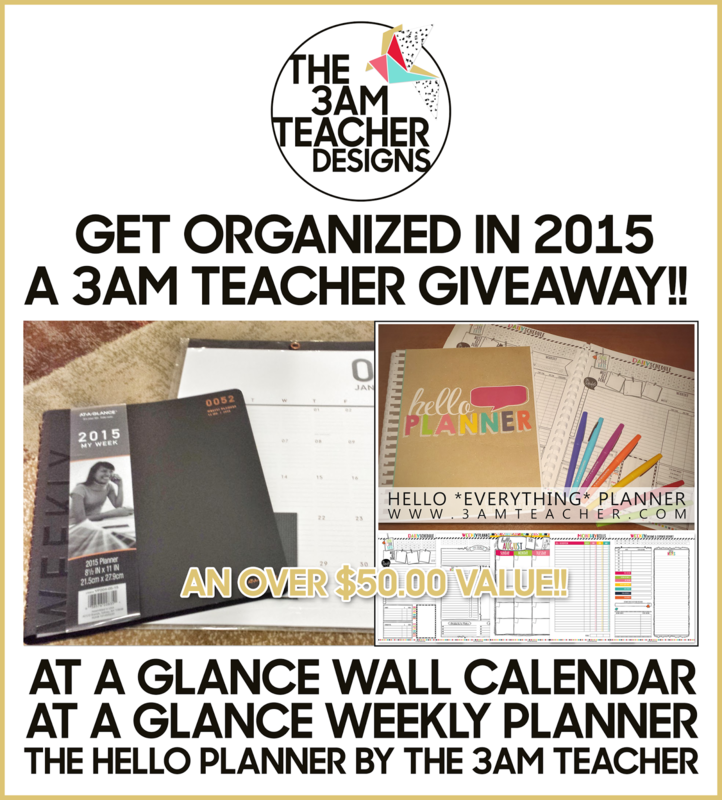 The 3am Teacher: A Little Help to Get You Organized in 2015 Giveaway! 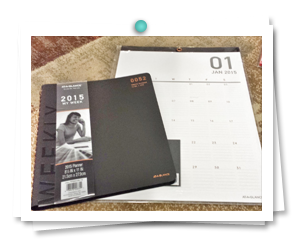 A Little Help to Get You Organized in 2015 Giveaway! But if you are anything like me, then you like to get your calendars/planners printed or ordered ahead of time. I consider myself to be a planner/calendar hoarder.... seriously, I can never have too many. 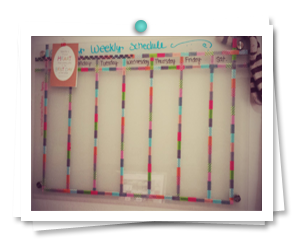 I have my glass whiteboard calendar that hangs behind my desk and I use as a weekly guide. I also have a large monthly desk calendar that I use to keep track of custom blog designs and a weekly planner that I no longer use. I have since replaced my weekly planner with my FAVORITE Hello Planner, which I designed myself. To be quite honest, I have no idea why I use a variety of calendars, but it seems to work for me. This month, I have already received my 2015 "At a Glance" wall calendar and weekly planner from Shoplet.com! I've used the "At a Glance" planners for a very long time. I love how simple they are in design and how the planners are organized both monthly and weekly. I typically get them from OfficeMax or Amazon, but I decided to get mine from Shoplet.com this year!! Even though I absolutely LOVE the simplicity of the At a Glance Monthly Planner, I probably will not get much use out of it this year since I am using my Hello Planner everyday now. The At a Glance Monthly planner is available in two sizes and two colors. I am not a fan of the gold one, but the black one is very nice. The cover feels almost like a soft rubber and seems to be quite durable. The preview on Shoplet.com makes the lines seem a bit yellowish or light gold; however, I can assure you that the writing lines and grids are a soft gray. The Planner is organized by month and includes a two-page monthly spread followed by a two-page weekly spread. This gives users a lot of room to write in. The At a Glance 2015 Wall Calendar is a MUST-HAVE tool for me!! I have to have a monthly visual hanging up at all times and I love the new size of the 2015 Wall Calendars! Again, the preview below makes the calendar color seem a bit dingy when it is not so. I used the image below because I do not have my new wall calendar hanging up, but I wanted you all to see how it looks. The At-A-Glance wall calendar is a big calendar, and measures 12 x 16-1/4 inches. 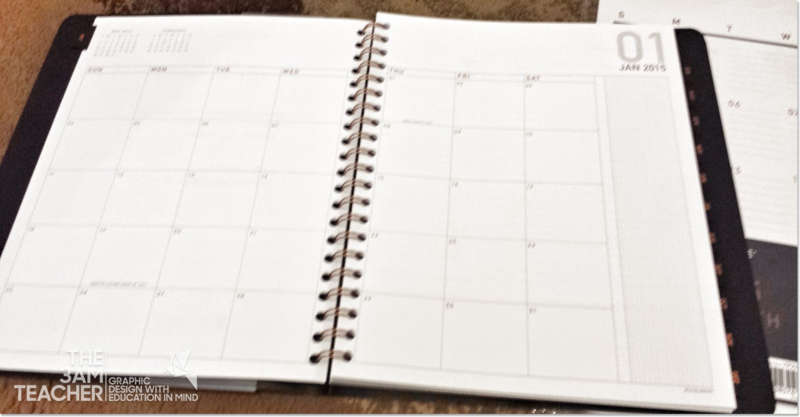 It features a monthly grid on each page with lined blocks as well as a past and future month reference. It starts the day of the week on Sunday rather than on Monday, but this is what I prefer. The pages are perforated, so at the end of each month I can cleanly tear the page from the calendar. This calendar also features a smooth black headband with a copper hanging grommet so it easily hangs from a nail, tack, etc. There is also plenty of room at the top of each month's page where you can add notes, quotes, doodles, etc. I love the use of clean, modern serif fonts and the overall design. There is not much more I can say about a wall calendar - only that this is one tool I will always have hanging in my office. Feel free to click the images to check out these calendars on Shoplet.com. I think this will be the year that I retire using any At a Glance Monthly Planners because I am in LOVE with my Hello Planner! I am able to print it up for any year, edit the pages before I print them, print only the pages I need, and organize it however I want. It really gives me so much freedom to get organized in such a personal way! 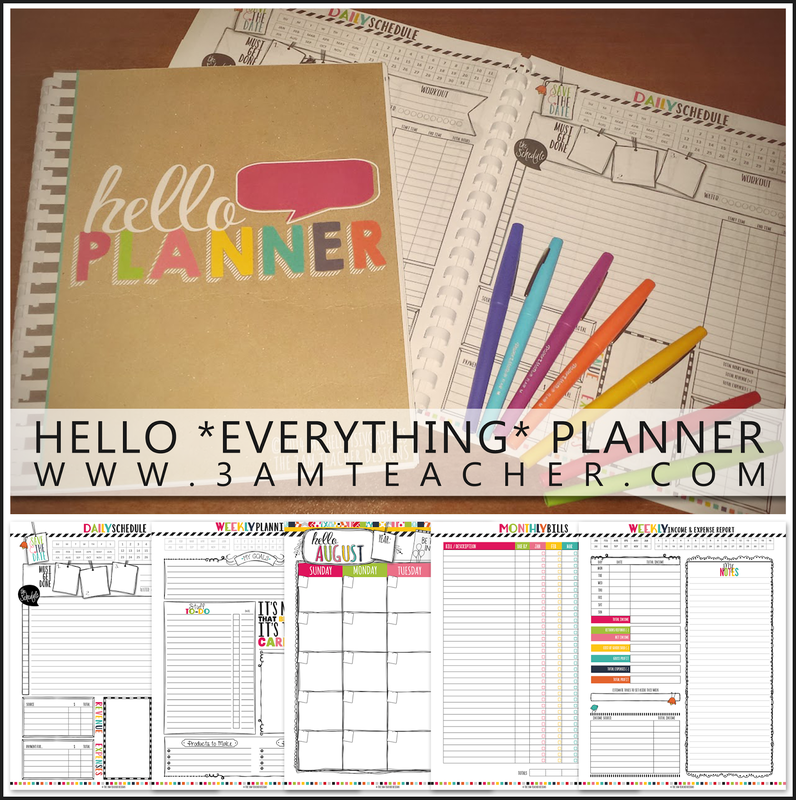 I have many more add-ons and Hello Planners in the works, but you are more than welcome to check out what I have available now by clicking the image below. To have a little fun this week, I am going to give one lucky Blogger the chance to WIN ALL of the planners I have featured in today's post!!! All you need to do is leave a comment below telling me what your favorite planner has been this year, along with your email address!! That is it!! On Friday, I will run a number generator and announce the winner!! TERMS: Winner will be notified by email with instructions on Friday, October 31st 2014 by midnight PT. This giveaway only applies to residents in the United States. Thank you everyone and good luck!! That is an easy alternative!! That is what I did when I couldn't find one that would work for me. Thank you so much! I have a fridge calendar at home and I carry a monthly calendar. I do not have a favorite but am on the hunt for a great one. I absolutely could not live without my iCal. Since it transfers from my school laptop to my iPhone to my home iPad (via the ever-mysterious Cloud), I never have to worry about forgetting an appointment, and I only have to input it once! I'm always on the hunt for new calendars that are also cute, and I've been checking out your Hello Planner for a while. So cute! Thanks for hosting this great giveaway! Wow! Your planners look so wonderful! Very colorful and teacher friendly. I happen to use 3 planners regularly including an iPad for my classroom. Two of my planners are for personal/finance and another is a teaching planner. Thanks for throwing this giveaway! I am using this embarrassing month calendar from our schools photographer. It's wmbarras to admit that. Your Hello planner is so adorable! Do not be embarrassed at all, I got excited when the school I was at (my last year teaching) passed out school calendars.... haha!! Thank you for stopping by! I love-love-loved my Erin Condren planner last year, but this year I wanted to adjust it some. I made my own! I used bits and pieces of ones I found and purchased online. I love yours- I hadn't seen it before! Totally on my short list for next year. I wanted an Erin Condren planner, but none of them really worked for what I needed a planner for, so I also created my own... It is the best solution when nothing else seems to work. Thank you! Oh wow, this would be wonderful!!! It is currently on my TpT wishlist!!!! Right now I have been using a simple printable blank calender and filling it in with all of our busyness!!! Thank you! Whatever works!! haha I have tried out so many different planners, but I am also cheap, so I won't pay the $100.00 for the nice ones... plus, those ones never seem to have what I need all in one place anyway. I wish you the best of luck!! 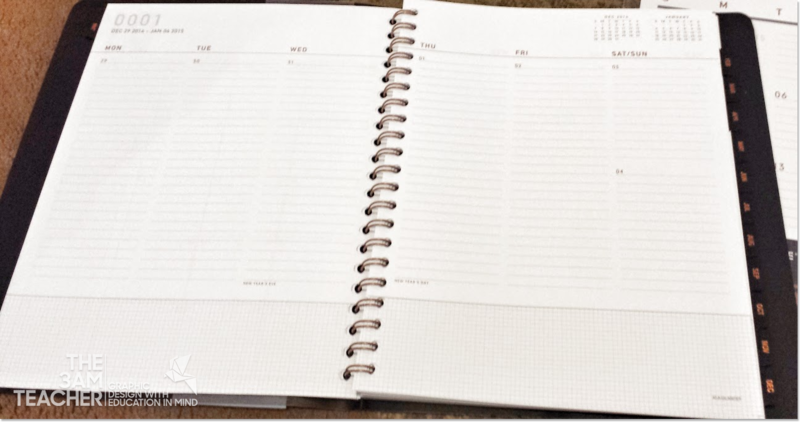 I would love to figure out how to get my planner to work on a mobile device as an app.. that would be awesome!! Good luck!! This year I've used the calendar on my i-Pad and a sad planner from Wal Mart. 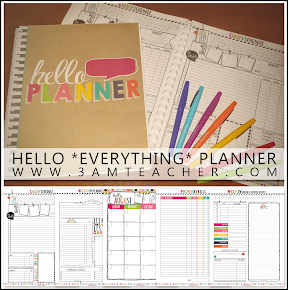 I've been drooling over your Hello Planner! Oh my goodness where to begin!!! Haha! Organization is my life!!! I Love To be organized and I am always looking for new and improved ways to do so. Currently I have a medium sized monthly/weekly planner, a small monthly calendar book (this is where I write notes from my pacing guides) to do checklists out the wazoo, and a large desk calendar!! I have tried to go to digital and use apps on my iPhone but I just don't like it for some reason. I like have a cute well organized planner that I can write in with all sorts of different colored pens!!! Yours looks wonderful by the way! I have been using a digital version, but yours is on my wish list. I love the hand drawn elements and the colors. GORGEOUS! Such a great giveaway! I am currently using sticky notes, my iPhone calendar, and my memory (which is not very good, lol) This would be so helpful! Girl!! I LOVE me some sticky notes.... haha.... Thank you for stopping by! I hear ya... the school planners never seem to have enough writing room... Thank you! I can totally relate to your organizer obsession! I have three different calendars I'm using right now. I have a wall calendar, an 8 1/2 x 11" calendar and a smaller one for my purse. None of them have everything that I need from a calendar. I've thought about making my own so many times but I have never made the time. Thanks for the opportunity to win your because it looks amazing! I don't really have a favorite. I just use a cheap one from walmart. My very favorite was the $1 monthly planner from Target's Dollar Spot. However, I couldn't find it this school year. So, I bought the black At-a-Glance that you mentioned in this post :) I still love the target cheepie though! For years I use to use the monthly/weekly agenda books from Barnes and Nobles. A couple of years back I started using my ical and sync it with google calendar. I gave my daughter the agenda from Barnes and Nobles to use for school this year. I also have a huge erasable monthly calendar that I created for my family to use. I am looking for a calendar for school. I use the calendar on my iphone. Thanks for the giveaway! I'm a little embarrassed to admit that I have several calendars -- simply because I'm obsessed with them! Organization is the name of my game! I love, love your business planner and know that I would definitely get some good use out of it. Hoping I win, but if not, it's on my wishlist!